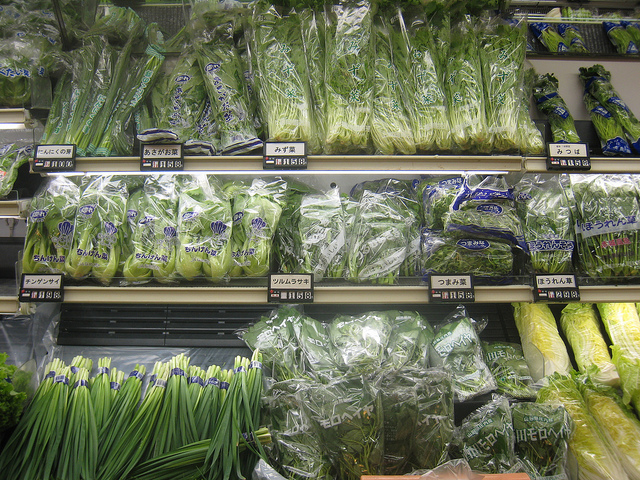 Get your greens at your local Asian supermarket. Photo by Dom Pates on Flickr, redistributed under Creative Commons. We are lucky, as Londoners, to have access to food shops selling all manner of exciting, and perhaps unfamiliar ingredients. Sometimes though, these shops can be intimidating. Ever felt overwhelmed when faced with 20 types of lentils at your local Bangladeshi grocery shop? Perhaps you’re in a pickle trying to choose a pasta at the Italian deli? We’ve asked experts to help us navigate these culinary wonderlands, so you can make the most of them. First up, it’s Lizzie Mabbott, author of the food blog Hollow Legs, and the cookery book, China Town Kitchen, which aims to demystify the ingredients found at Asian supermarkets. 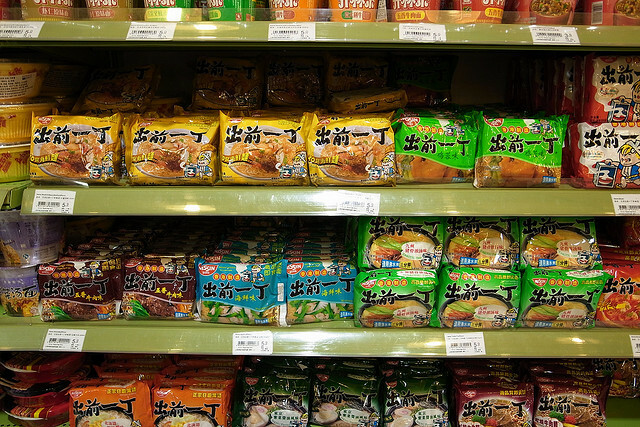 Asian supermarkets, to the uninitiated, probably seem like a daunting place. Why are there eleventy million types of chilli oil? Well, because they're all different. Look a little closer; some are made with garlic, some with dried shrimp, some with both. Others are blended down with vinegar, or emulsified to make a sauce. Some are made with fresh chill, others dried. Shopping in Asian supermarkets at first takes some meticulous label gazing. That's what I did; repeatedly picking up jars and packets, reading the back until I figured out what it was for. Soon you find yourself shopping with confidence; and if it's not TOTAL confidence then it is at least confidence that you'll figure it out later. When I'm in Asian supermarkets without a recipe or shopping list to follow, or I'm just lacking in inspiration, I tend to pick one main, interesting ingredient and then shop around it. Fish balls, for example; good in noodle soups, or stir-fried dishes. Next up comes the carbs — will I have it with rice? Or noodles? — and finally, because they are the most versatile, the vegetables. When it comes to pre-made sauces in Asian supermarkets, it's worth knowing that with most, a little goes a long way. They're not sauces like that jar of pasta stuff from Sainsbury's; think of it more as a base flavouring, to add a little flavour to a lot. Taste it — stick a spoon in the jar and you'll know best the level of intensity you can expect. Wall of Noodles. Photo courtesy of Simon A on Flickr, redistributed under Creative Commons. I have my favourite supermarkets for different things. Longdan in Elephant & Castle (and others) is the place to go for Vietnamese herbs and noodles, given that they are predominantly focused on that part of the world. The freezer sections are impressive too. Longdan, see website for locations. See Woo, in Chinatown has a secret underground room with all the Chinese cutlery, crockery and cooking equipment you'll need. A good place to get set up for Asian cooking. Just around the corner, New Loon Moon is a great generalist shop. Set on three floors, they span Korean, Japanese and Chinese ingredients, while the vegetable section is the place to go for that hard-to-find Thai ingredient, like krachai or green peppercorns. Loon Fung, opposite, has a fresh meat counter (they sell fresh fish too). All sorts of offal is available here, folds of bleached tripe and wobbles of liver glistening under the harsh light. My absolute favourite though — and it's pretty niche — is Lo's Noodle Factory in Dansey Place. It really is a factory. You have to wedge yourself in amongst the machinery to be handed a greasy bag of warm, just made flat rice noodles for £1. Straight from the source.